Thanks to Riverhead Books, bibliophiles can support Syrian refugees and get some literary swag in the process. 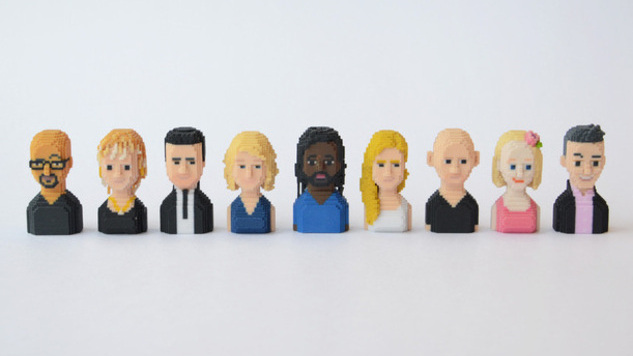 Throughout the entire month of June, you can make a donation of $250 or more to Libraries Without Borders and receive a miniature, 3D printed Riverhead author of your choice. The collection, which was designed by Benjamin Denzer and printed by LeBlox, includes nine contemporary writers: Junot Díaz, Anne Lamott, Khaled Hosseini, Elizabeth Gilbert, Marlon James, Lauren Groff, Nick Hornby, Emma Straub and Dan Pink. Libraries Without Borders is “a nonprofit that works to bring books, computers and learning resources to the refugee and migrant populations in Europe.” Donations made through Riverhead’s fundraiser will pay for Ideas Boxes, which are portable media centers with Internet access and their own power source. We’ve gathered several photos of the mini authors in the gallery above, and you can view the rest and learn more about the fundraiser here.